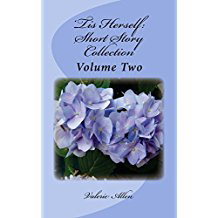 'Tis Herself: Short Story Collection Volume Two is an entertaining and heart-warming journey into the lives of ordinary people. The stories touch on the details of relationships among family members and between friends and lovers. It offers an opportunity—sometimes humorous, sometimes poignant—to see ourselves through the desires of, and decisions made by others. Each story is a quick read with a meaningful message. 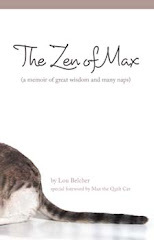 Contents include: The Garden of Love, Match Maker, Small Steps, Future Plans, Words of Wisdom, Best Wishes, Valentine's Day, Conditional Love, Father's Day, Love is in the Air, A Good Thing on a Bad Day, Brotherly Love and Holiday Traditions. 'This Herself: Short Story Collection, Volume Two can be found as a book, an ebook, and in a LARGE PRINT edition. The audio version will soon be available on Audible and iTunes. For those who enjoyed 'Tis Herself: Short Story Collection Volume One, Volume Two is sure to please. Read, enjoy and share. For more information about Valerie Allen go to Amazon.com/author/valerieallen or contact her at VAllenWriter@gmail.com.